1. 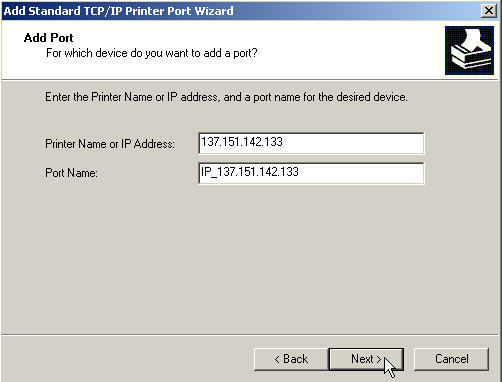 Write down IP address or have it ready for installation. 2. From your desktop, click on the Start button . 3. Click on Settings and then choose Printers and Faxes. 4. The listing of the printers should appear. Click on Add a Printer. 5. 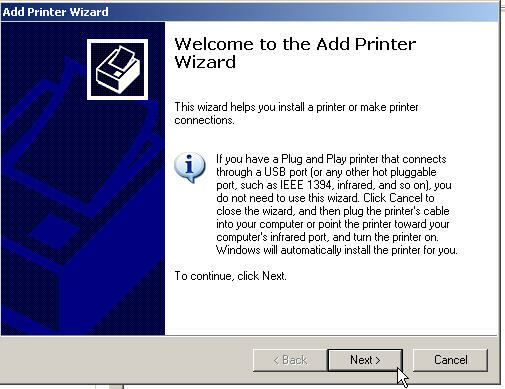 Click Next on the Welcome to the Add Printer Wizard. 6. 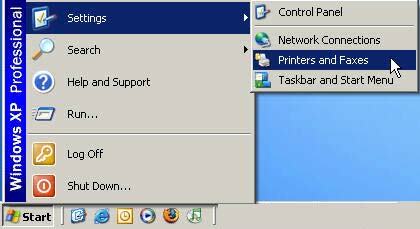 Click on the Local printer radio button and uncheck the automatically detect radio button. Click Next. 7. 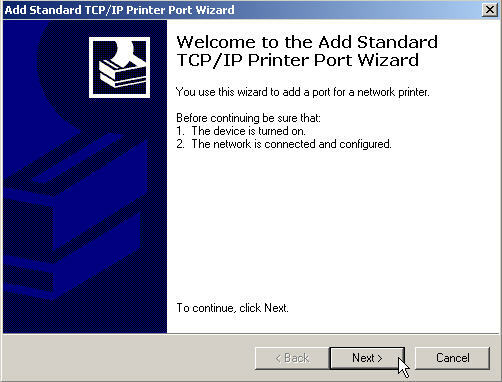 Select the Create a new port radio button and choose the Standard TCP/IP Port from the Type of port drop down menu. Click Next. 8. 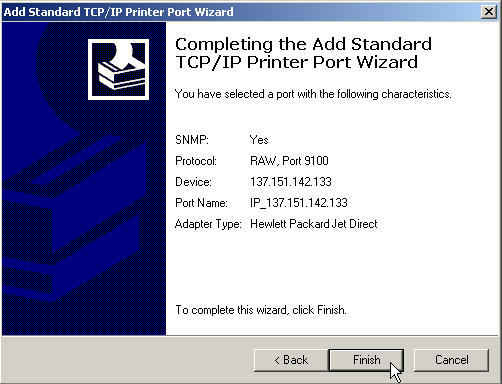 Click Next on the TCP/IP Printer port wizard screen. 9. 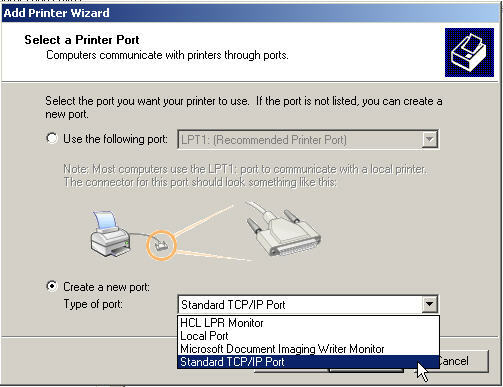 Type in the printer IP address (figure IP: example) and click Next. 11. 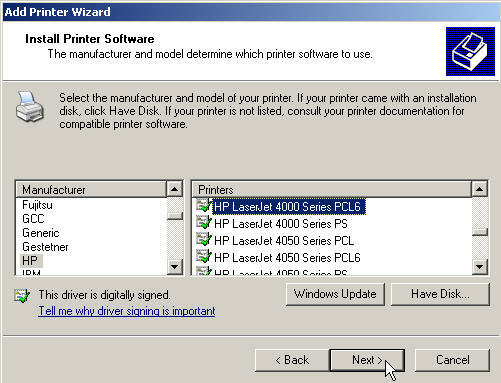 Next choose the printer manufacturer from the left hand column and then choose the specific model of printer from the right hand column. Then click Next. 12. 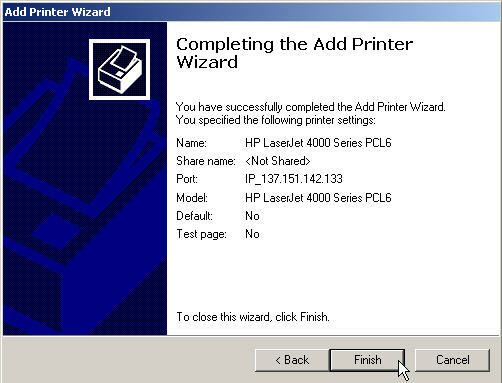 You can name the printer anything you like or take the default name. If you want this printer to be your default printer select Yes. 13. Select Do not share this printer and click Next. 14. Click Yes when it asks to print a test page, this way you can verify that the printer is setup correctly. Then click Next. 15. Click Finish to complete the installation.